CryoFX® introduces the Cryo CO2 Limited Edition Series Special Effect Stage Gun in Red. The CryoFX® Premium CO2 Gun is by far the most sought after CO2 Special Effects Gun in the entertainment industry. We only make ONE Co2 Gun – Yours! Call Us Now if you would like a custom built Co2 Gun exclusively manufactured for you! Build your CO2 Gun with your favorited color and with your favorite label. Currently in the hands of over 30 of the worlds top 100 DJs and having made appearances in Movies, Music Videos, Live Touring Performances, and Special Effects Worldwide, the CryoFX® Cryo Gun is a symbolic icon around the globe. CryoFX® introduces the Cryo CO2 Limited Edition Series Special Effect Stage Gun in Blue. The CryoFX® Premium CO2 Gun is by far the most sought after CO2 Special Effects Gun in the entertainment industry. We only make ONE Co2 Gun – Yours! Call Us Now if you would like a custom built Co2 Gun exclusively manufactured for you! Build your CO2 Gun with your favorited color and with your favorite label. Currently in the hands of over 30 of the worlds top 100 DJs and having made appearances in Movies, Music Videos, Live Touring Performances, and Special Effects Worldwide, the CryoFX® Cryo Gun is a symbolic icon around the globe. CryoFX® introduces the Cryo CO2 Limited Edition Series Special Effect Stage Gun in Dark Red Copper Color. The CryoFX® Premium CO2 Gun is by far the most sought after CO2 Special Effects Gun in the entertainment industry. We only make ONE Co2 Gun – Yours! Call Us Now if you would like a custom built Co2 Gun exclusively manufactured for you! Build your CO2 Gun with your favorited color and with your favorite label. Currently in the hands of over 30 of the worlds top 100 DJs and having made appearances in Movies, Music Videos, Live Touring Performances, and Special Effects Worldwide, the CryoFX® Cryo Gun is a symbolic icon around the globe. CryoFX® introduces the Cryo CO2 Limited Edition Series Special Effect Stage Gun in Neon Green color. The CryoFX® Premium CO2 Gun is by far the most sought after CO2 Special Effects Gun in the entertainment industry. We only make ONE Co2 Gun – Yours! Call Us Now if you would like a custom built Co2 Gun exclusively manufactured for you! Build your CO2 Gun with your favorited color and with your favorite label. Currently in the hands of over 30 of the worlds top 100 DJs and having made appearances in Movies, Music Videos, Live Touring Performances, and Special Effects Worldwide, the CryoFX® Cryo Gun is a symbolic icon around the globe. CryoFX® introduces the Cryo CO2 Limited Edition Series Special Effect Stage Gun in silver color. The CryoFX® Premium CO2 Gun is by far the most sought after CO2 Special Effects Gun in the entertainment industry. We only make ONE Co2 Gun – Yours! Call Us Now if you would like a custom built Co2 Gun exclusively manufactured for you! Build your CO2 Gun with your favorited color and with your favorite label. Currently in the hands of over 30 of the worlds top 100 DJs and having made appearances in Movies, Music Videos, Live Touring Performances, and Special Effects Worldwide, the CryoFX® Cryo Gun is a symbolic icon around the globe. CryoFX® introduces the Cryo CO2 Limited Edition Series Special Effect Stage Gun in light copper color. The CryoFX® Premium CO2 Gun is by far the most sought after CO2 Special Effects Gun in the entertainment industry. We only make ONE Co2 Gun – Yours! Call Us Now if you would like a custom built Co2 Gun exclusively manufactured for you! Build your CO2 Gun with your favorited color and with your favorite label. Currently in the hands of over 30 of the worlds top 100 DJs and having made appearances in Movies, Music Videos, Live Touring Performances, and Special Effects Worldwide, the CryoFX® Cryo Gun is a symbolic icon around the globe. CryoFX® introduces the Cryo CO2 Limited Edition Series Special Effect Stage Gun in Red Maroon color. The CryoFX® Premium CO2 Gun is by far the most sought after CO2 Special Effects Gun in the entertainment industry. We only make ONE Co2 Gun – Yours! Call Us Now if you would like a custom built Co2 Gun exclusively manufactured for you! Build your CO2 Gun with your favorited color and with your favorite label. Currently in the hands of over 30 of the worlds top 100 DJs and having made appearances in Movies, Music Videos, Live Touring Performances, and Special Effects Worldwide, the CryoFX® Cryo Gun is a symbolic icon around the globe. CryoFX® introduces the Cryo CO2 Limited Edition Series Special Effect Stage Gun in Baby Blue Teal color. The CryoFX® Premium CO2 Gun is by far the most sought after CO2 Special Effects Gun in the entertainment industry. We only make ONE Co2 Gun – Yours! Call Us Now if you would like a custom built Co2 Gun exclusively manufactured for you! Build your CO2 Gun with your favorited color and with your favorite label. Currently in the hands of over 30 of the worlds top 100 DJs and having made appearances in Movies, Music Videos, Live Touring Performances, and Special Effects Worldwide, the CryoFX® Cryo Gun is a symbolic icon around the globe. CryoFX® introduces the Cryo CO2 Limited Edition Series Special Effect Stage Gun in Baby Blue textured color. 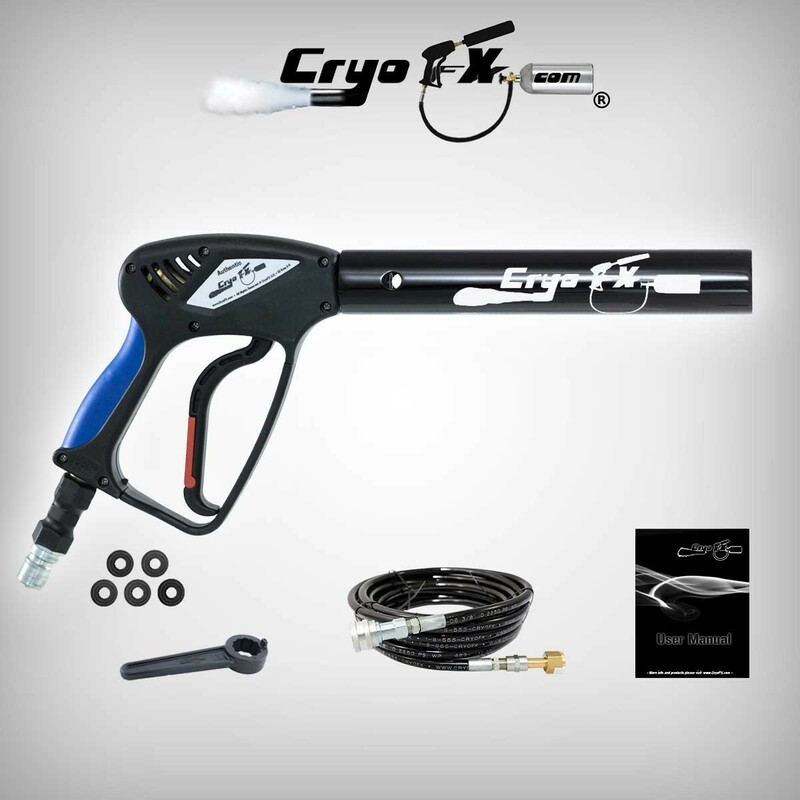 The CryoFX® Premium CO2 Gun is by far the most sought after CO2 Special Effects Gun in the entertainment industry. We only make ONE Co2 Gun – Yours! Call Us Now if you would like a custom built Co2 Gun exclusively manufactured for you! Build your CO2 Gun with your favorited color and with your favorite label. Currently in the hands of over 30 of the worlds top 100 DJs and having made appearances in Movies, Music Videos, Live Touring Performances, and Special Effects Worldwide, the CryoFX® Cryo Gun is a symbolic icon around the globe. CryoFX® introduces the Cryo CO2 Limited Edition Series Special Effect Stage Gun in flat silver color. The CryoFX® Premium CO2 Gun is by far the most sought after CO2 Special Effects Gun in the entertainment industry. We only make ONE Co2 Gun – Yours! Call Us Now if you would like a custom built Co2 Gun exclusively manufactured for you! Build your CO2 Gun with your favorited color and with your favorite label. Currently in the hands of over 30 of the worlds top 100 DJs and having made appearances in Movies, Music Videos, Live Touring Performances, and Special Effects Worldwide, the CryoFX® Cryo Gun is a symbolic icon around the globe. CryoFX® introduces the Cryo CO2 Limited Edition Series Special Effect Stage Gun in dark textured brown color. The CryoFX® Premium CO2 Gun is by far the most sought after CO2 Special Effects Gun in the entertainment industry. We only make ONE Co2 Gun – Yours! Call Us Now if you would like a custom built Co2 Gun exclusively manufactured for you! Build your CO2 Gun with your favorited color and with your favorite label. Currently in the hands of over 30 of the worlds top 100 DJs and having made appearances in Movies, Music Videos, Live Touring Performances, and Special Effects Worldwide, the CryoFX® Cryo Gun is a symbolic icon around the globe. CryoFX® introduces the Cryo CO2 Limited Edition Series Special Effect Stage Gun in dark textured blue color. The CryoFX® Premium CO2 Gun is by far the most sought after CO2 Special Effects Gun in the entertainment industry. We only make ONE Co2 Gun – Yours! Call Us Now if you would like a custom built Co2 Gun exclusively manufactured for you! Build your CO2 Gun with your favorited color and with your favorite label. Currently in the hands of over 30 of the worlds top 100 DJs and having made appearances in Movies, Music Videos, Live Touring Performances, and Special Effects Worldwide, the CryoFX® Cryo Gun is a symbolic icon around the globe. CryoFX® introduces the Cryo CO2 Limited Edition Series Special Effect Stage Gun in shiny blue color. The CryoFX® Premium CO2 Gun is by far the most sought after CO2 Special Effects Gun in the entertainment industry. We only make ONE Co2 Gun – Yours! Call Us Now if you would like a custom built Co2 Gun exclusively manufactured for you! Build your CO2 Gun with your favorited color and with your favorite label. Currently in the hands of over 30 of the worlds top 100 DJs and having made appearances in Movies, Music Videos, Live Touring Performances, and Special Effects Worldwide, the CryoFX® Cryo Gun is a symbolic icon around the globe. CryoFX® introduces the Cryo CO2 Limited Edition Series Special Effect Stage Gun in textured green color. The CryoFX® Premium CO2 Gun is by far the most sought after CO2 Special Effects Gun in the entertainment industry. We only make ONE Co2 Gun – Yours! Call Us Now if you would like a custom built Co2 Gun exclusively manufactured for you! Build your CO2 Gun with your favorited color and with your favorite label. Currently in the hands of over 30 of the worlds top 100 DJs and having made appearances in Movies, Music Videos, Live Touring Performances, and Special Effects Worldwide, the CryoFX® Cryo Gun is a symbolic icon around the globe. CryoFX® introduces the Cryo CO2 Limited Edition Series Special Effect Stage Gun in Dark Green color. The CryoFX® Premium CO2 Gun is by far the most sought after CO2 Special Effects Gun in the entertainment industry. We only make ONE Co2 Gun – Yours! Call Us Now if you would like a custom built Co2 Gun exclusively manufactured for you! Build your CO2 Gun with your favorited color and with your favorite label. Currently in the hands of over 30 of the worlds top 100 DJs and having made appearances in Movies, Music Videos, Live Touring Performances, and Special Effects Worldwide, the CryoFX® Cryo Gun is a symbolic icon around the globe. CryoFX Cryo Cannon for Night Clubs and DJ’s is the next step up from a handheld cryo gun! 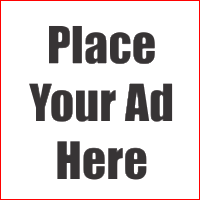 Its large size, and light weight, makes for a bolder impression! Featuring two handles for extra stability and a durable metal casing, this Cryo Cannon will certainly put on a great show. CryoFX CO2 LED Jet Switchable is guaranteed to “brighten” up any event. Taking the standard LED Jet and incorporating 7 channels of DMX to allow dimming, strobing, color changing, sound activation and much more! It’s the best of both worlds… DMX Controlled LED Light and Co2 Jet all-in-one. CryoFX Cryo Blaster is one of the most sought after Cryo Gun in the industry. Currently used in feature films, commercials, live entertainment shows, the Cryo Blaster stands its ground. It has made appearances in Movies, Music Videos, Live Touring Performances, and Special Effects Worldwide, the CryoFX Cryo Blaster is a symbolic icon around the globe. CryoFX Co2 LED Jet Inline is the perfect fit for stage productions and use at any show, from Concerts, to Festivals, to Events and more. Simulate the look of fire or color the vertical stream of Co2 to match your color theme. The Co2 LED Jet Inline offers 7 channels of DMX for Dimming, Color Changing, Strobing, Sound Activation and more! If you want a flashy Cryo Gun in your favorite color, CryoFX NEON Cryo Guns are sure to get you all the attention you’ve been wanting. Featuring one of a kind BRIGHT NEON colored nozzles, there is no way to go wrong with your choice of 8 different vibrant colors, some of which react to UV Light (Black Lights)! CryoFX CO2 Cryo LED Gun is by far the most sought after Cryo Gun in the industry. Currently in the hands of over 30 of the worlds top 100 DJs and having made appearances in Movies, Music Videos, Live Touring Performances, and Special Effects Worldwide, the CryoFX Cryo LED Gun is a symbolic icon around the globe. One step up from CryoFX Cryo Gun, the Dual Nozzle Cryo Gun is a beast in disguise. With the ability to spray two streams of Co2 simultaneously, you will definitely cover an area with Co2 clouds twice as fast as with a standard cryo gun. If your looking for a complete handheld Cryo setup, the CryoFX® Cryo Gun Pack T20 is what you need! Comes with everything needed for immediate usage (except Co2). Includes the industry famous CryoFX® Handheld Cryo Gun, CryoFX Brand Co2 Hose and lightweight CryoFX Brand Aluminum Co2 Tank! This is the CO2 Cylinder Backpack which allows you to go mobile with your CryoFX CO2 Cannon, Cryo Gun, or CO2 Bazooka. Designed to hold an Aluminum 10 or 20 lb Co2 Cylinder, this Co2 Backpack allows you to go anywhere without limitations…and without tripping over a Co2 Hose! CryoFX Co2 Jet DMX Switchable remains industry standard when referring to Mounted CO2 Jets. Its simple design and ease of use allows for both DMX and Standard Power on/off capabilities. This is by far the most versatile and most sought after unit on the market. From Events to Concerts, Private Parties to Festivals, the CryoFX Co2 Jet DMX Switchable will get the job done.